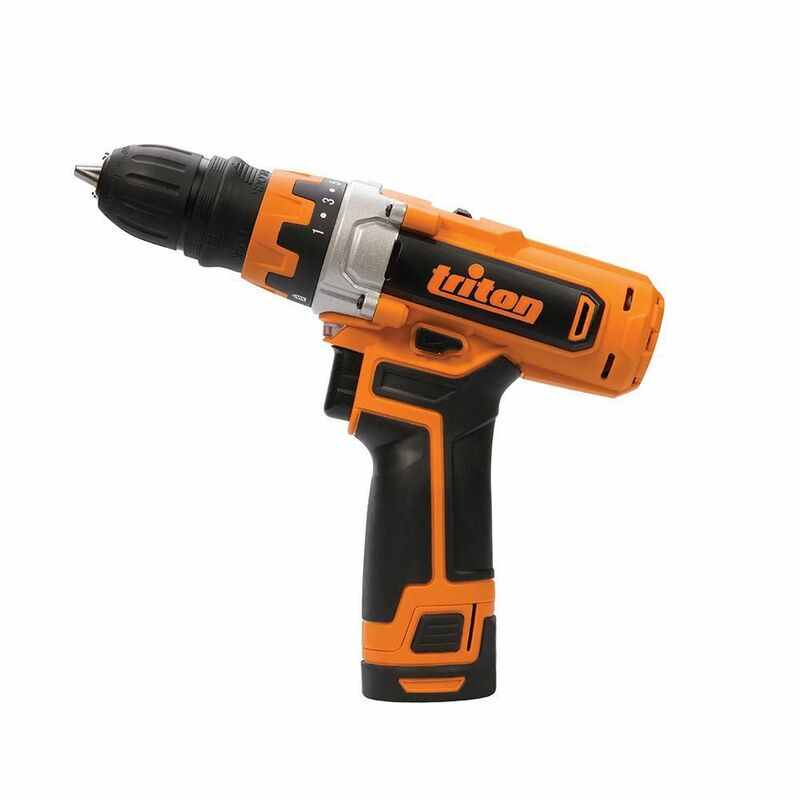 The Triton Tools 12V Cordless Drill/Driver Soft Pack features a 10mm/38-inch removable single sleeve keyless chuck, delivers 20Nm, 177 inch lbs. of torque and provides 17 torque settings that can easily adjust to a variety of materials and screw sizes. Brushless FEIN PowerDrive motor with 30% greater efficiency and longer service life. 4-speed solid metal gearbox provides optimum speeds for drilling in metal and driving self-drilling screws. QuickIN accessory interface for all QuickIN accessories and fast changes between applications. High torques up to 40 Nm. Includes small QuickIN all-metal chuck (60 Nm) with high concentricity accuracy. Optimal speed (2,500 rpm) in 4th gear for up to 6 mm dia. 400 screw connections (5x40 mm) with one battery charge (2.5Ah). 12V Cordless Drill/Driver Soft Pack Kit The Triton Tools 12V Cordless Drill/Driver Soft Pack features a 10mm/38-inch removable single sleeve keyless chuck, delivers 20Nm, 177 inch lbs. of torque and provides 17 torque settings that can easily adjust to a variety of materials and screw sizes. 12V Cordless Drill/Driver Soft Pack Kit is rated 5.0 out of 5 by 1. Rated 5 out of 5 by Rob054 from triton 12v drill i got the drill and driver about 3 months ago great tool good power and last awhile.